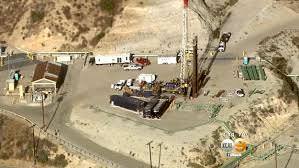 – The Division of Oil, Gas and Geothermal Resources is investigating the leak and overseeing Southern California Gas Company’s efforts to stop it, including issuing emergency orders in Novemberand December directing Southern California Gas Company to halt gas injections into the storage facility, immediately work on alternatives to stop the leak and provide testing results, data, daily briefings and a written plan and schedule for sealing the well. The Division also established a panel of experts from the Lawrence Berkeley National Laboratory, Lawrence Livermore National Laboratory and the Sandia National Laboratory to provide independent monitoring and technical expertise and review Southern California Gas Company data and information reported to the Division. Additional information on the administration’s coordinated efforts to help address this leak can be foundhere.